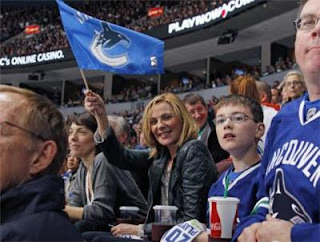 Kim Cattrall and Steve Nash attended the Canucks game last night...where they schooled my Sharks 7-3. Steve looks way more jazzed than Kim, just sayin. Noticeably absent were the Green Men who informed fans via twitter that they were not able to go to the game because tickets were too expensive and they basically went broke going to Nashville in Round 2. I think they need a wealthy sponsor for the rest of the playoffs. 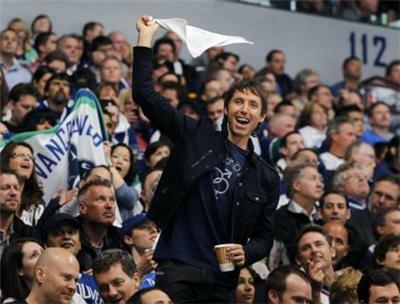 Come on Vancouver...step it up.